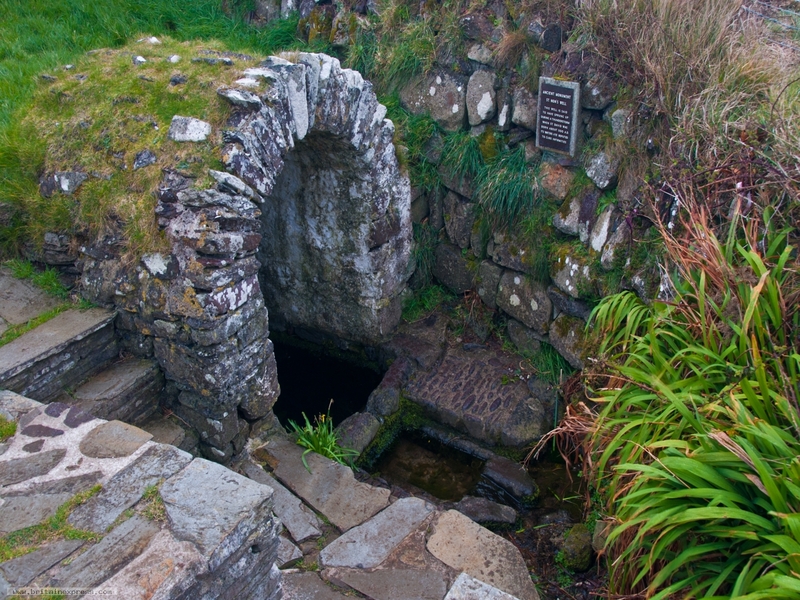 On a sloping hillside overlooking St Non's Bay, just south of St David's, stands a holy well dedicated to St Non, mother of St David. David was said to have been born here, near the site of a ruined chapel nearby. Even today, pilgrims leave offerings at the holy well, at the foot of modern statue of Non.